In 2016, Nua Healthcare engaged in a number of Corporate Social Responsibility projects (CSR). In December 2016, Nua welcomed 13 young girls over to Ireland from the Hincesti Orphanage in Moldova with their carers and Doctors. This visit is part of a larger longer term initiative to support the Republic of Moldova and its Government to change the way care in Moldova is delivered to children and adults with disabilities. Outreach Moldova, Nua and its charity partner, the Síol Foundation, sponsored the girls and their carers to come to Ireland for two weeks, to live and participate in daily activities alongside our residents. The purpose of the trip was to encourage the girls to have confidence in their abilities and to demonstrate to them that they have the capacity, just like Irish citizens, to live independently within a community setting outside of the orphanage. Nua has volunteered to act as expert consultants, alongside the Síol Foundation, in the design and development of a new community-based care organisation in Moldova. This will be accomplished through the setting up two community houses for two groups of six girls to live in. The girls will be supported in the house by care staff and centrally by a clinical and administrative teams and avail of a Nua model of day / outreach service in their local community. Nua, Outreach Moldova and Síol, are now well underway with the second phase of this project. 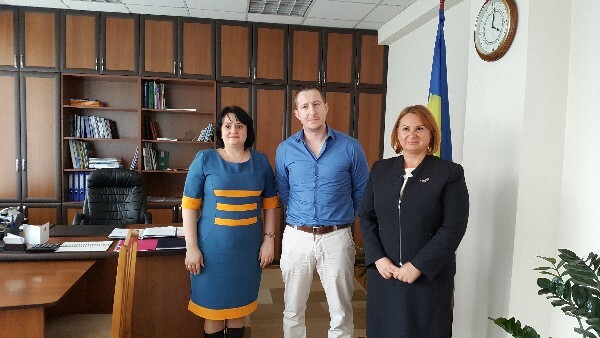 Just last week, Nua's CEO, Edward Dunne, met with Dr. Stela Grigoras, Minister for Labour, Social Protection and Family and the Vice Minister, Viorica Dumbraveanu in Chișinău, Moldova, and is happy to report that we are actively moving forward with the this de-institutionalisation pilot project. An invitation to Ireland to view the model of care used by Nua in Ireland, was well received. Over the coming months, Nua hopes to welcome the Minister and her colleagues to Ireland to view our model of care and demonstrate how together, we can move beyond institutional care in Moldova.